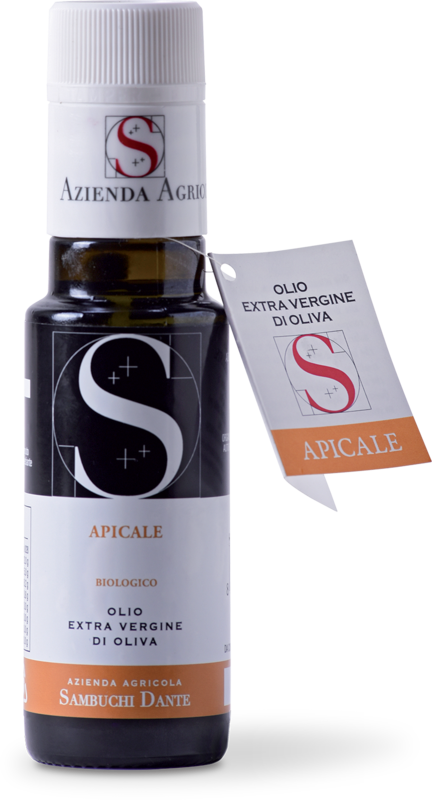 Oil that is obtained exclusively from a manual harvest, from the top branches of the olive tree (4-5mt). These branches are completely exposed to the air and rays of sun, hence the name Apicale (apex). The fact of their position is also why they are usually the larger olives of the tree. These olives, after harvest, are hand selected and cold pressed immediately. The oil that is obtained is richer in chlorophyll and full of beneficial properties for the human organism as it was obtained from fruit that was highly active with photo synthesis processes. The part of the olive tree is the most active as it is the part of the tree where the metabolic rate is highest – new leaves and branches that are constantly growing. Every morning I take a teaspoon of oil with an empty stomach.